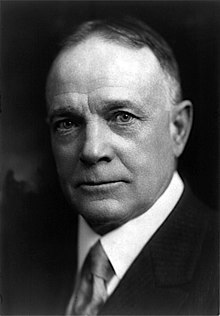 William Ashley "Billy" Sunday (November 19, 1862 in Story County, Iowa – November 6, 1935 in Chicago, Illinois) was an American athlete and religious person. He was an outfielder in baseball's National League during the 1880s. After that he became an influential American Presbyterian evangelist at the start of the 20th century. In Rare Form: A Pictorial History of Baseball Evangelist Billy Sunday. William A. Firstenberger. Iowa City: University of Iowa Press. 2005. This page was last changed on 24 November 2017, at 14:04.